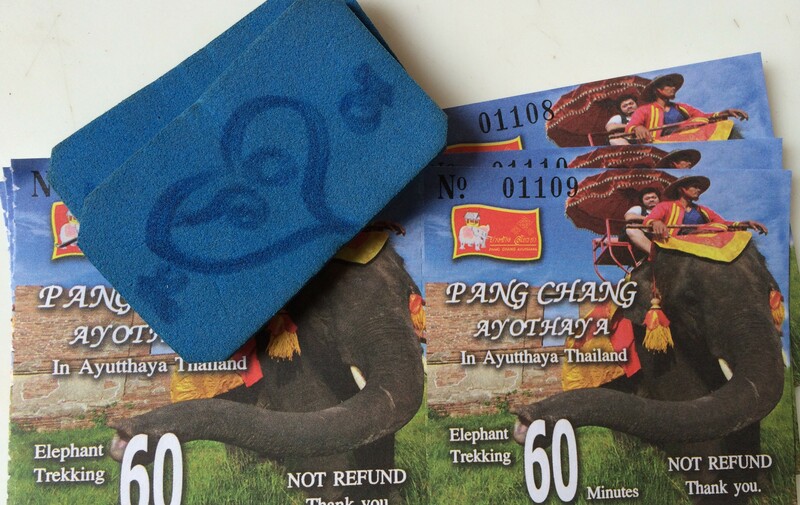 I had one of my best travel experiences when we day-tripped from Bangkok to Ayutthaya to see the summer palace Bang Pa, ruins of Wat Mahathat, and explore some ruins by way of elephant. 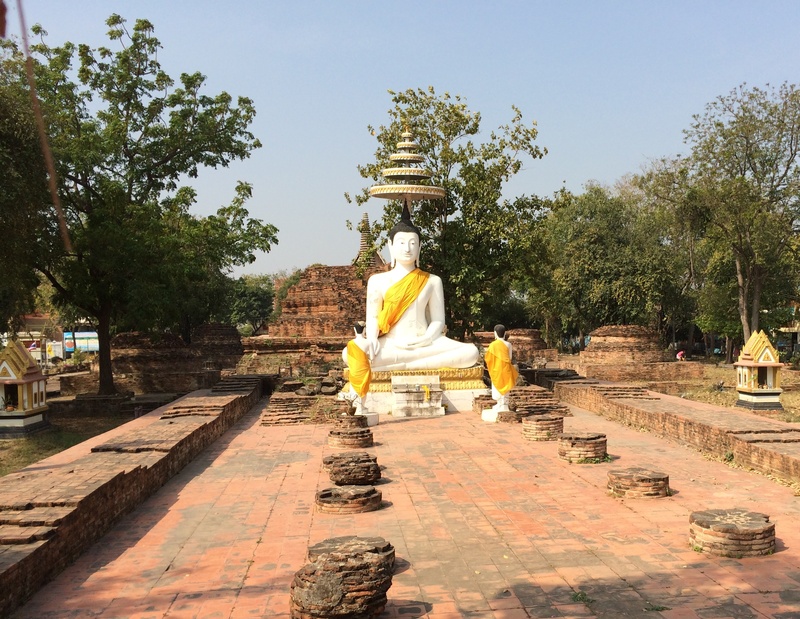 I also really enjoyed Wat Mahathat which I explored on foot and got to see the famous sandstone Buddha head in the bodhi tree. 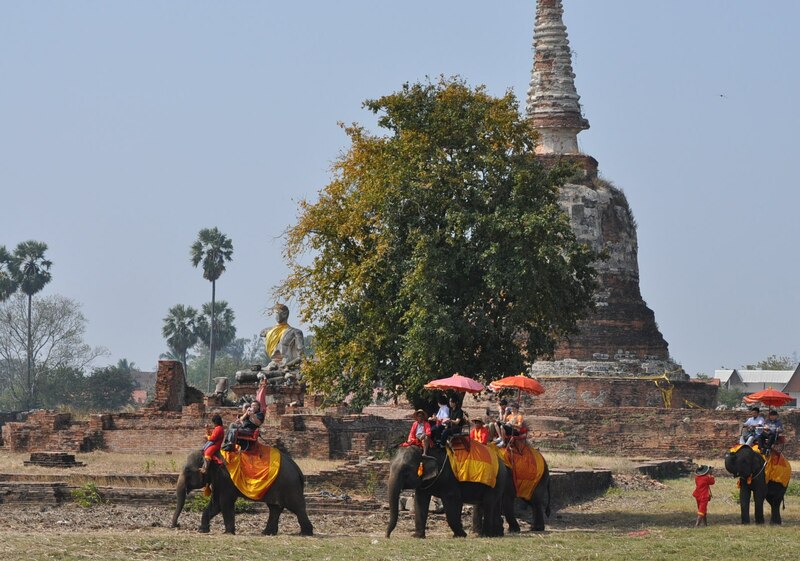 My travelling companions hired Nacorn, the driver who had picked up them up at the airport, for the whole day and we were off to Ayutthaya. 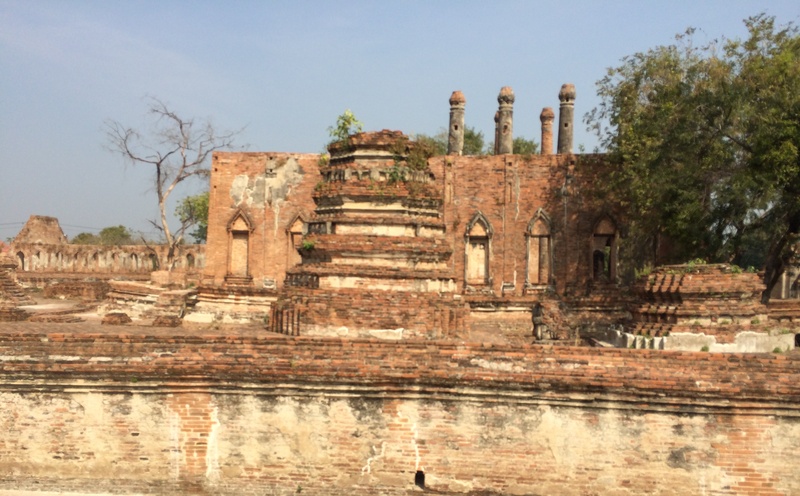 Ayutthaya was my must see destination after watching Scott Wilson and Justin Lukach visit on their travel program, Departures. Thanks, you guys! 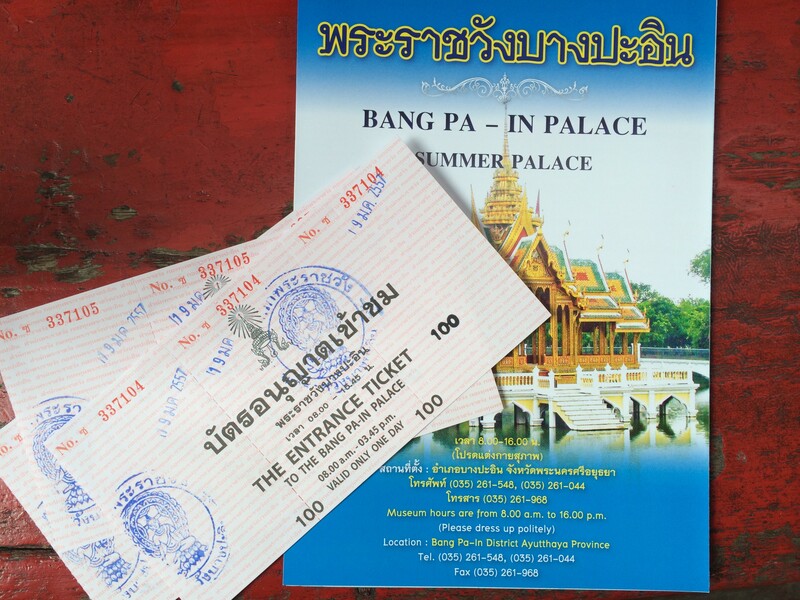 Nacorn suggested the summer palace, Bang Pa, before we hit our target destinations. 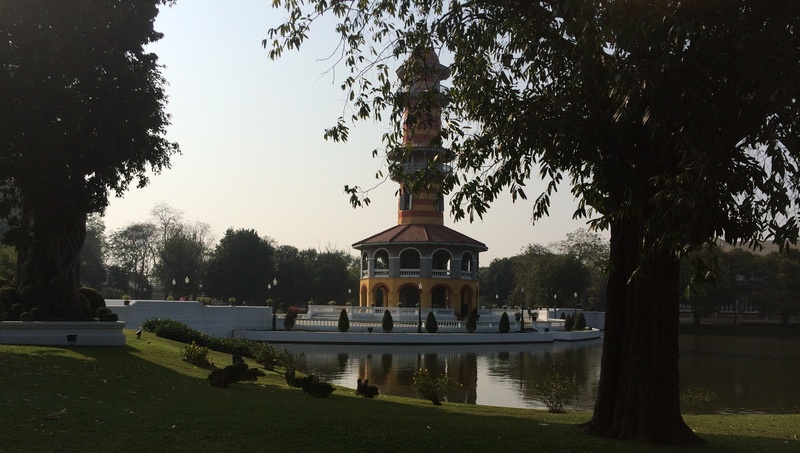 The palace is open for tourists since King Bhumibol Adulyadej (Rama IX) uses it infrequently for special occasions. 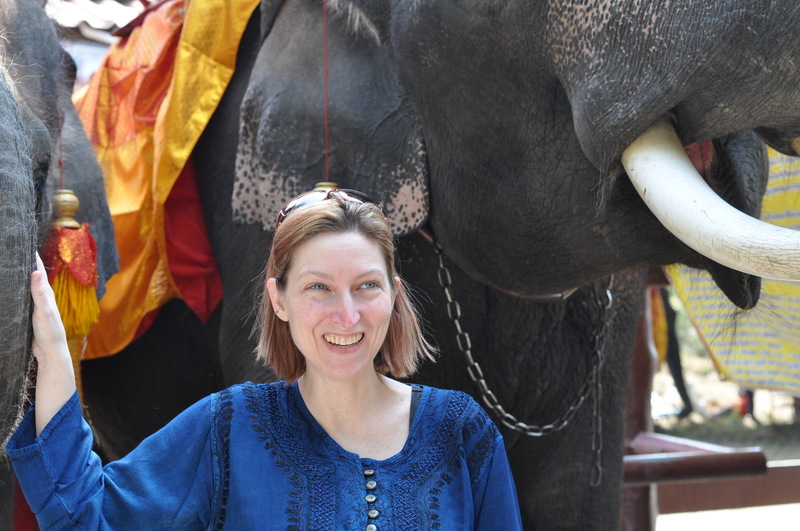 One of my companions who was dressed in shorts and a tank top was furnished with a traditional Thai wrap to cover herself with. She was not allowed to enter until she was “dressed politely”. We all got a good laugh from the resulting mismatch. The property was peaceful and indulgent. 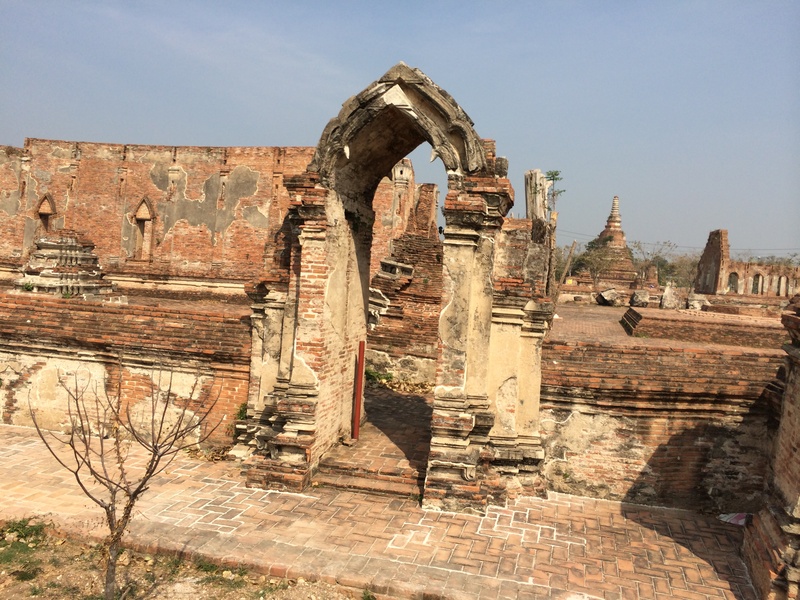 Some of the treasures inside were absolutely amazing, like a dragon figure made of camel bone or ivory. 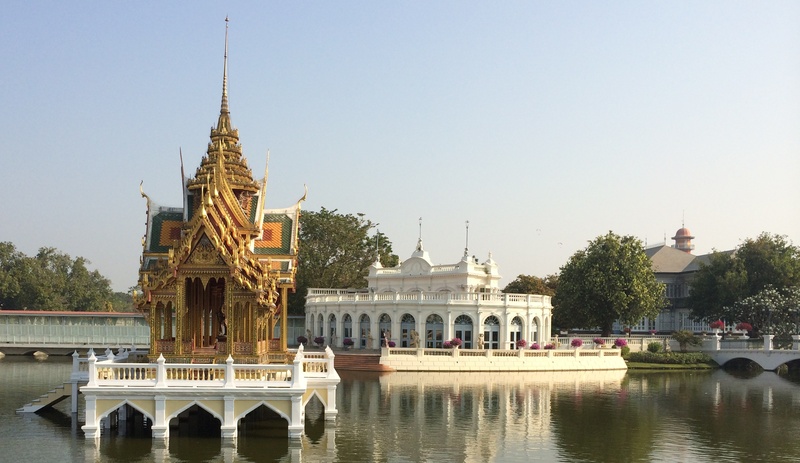 Photos are not allowed, but I did capture a few exterior shots of some of the more ornate buildings. Although beautiful, this wasn’t the type of experience I typically seek; most of the buildings were constructed in the late 1800s in Western style. 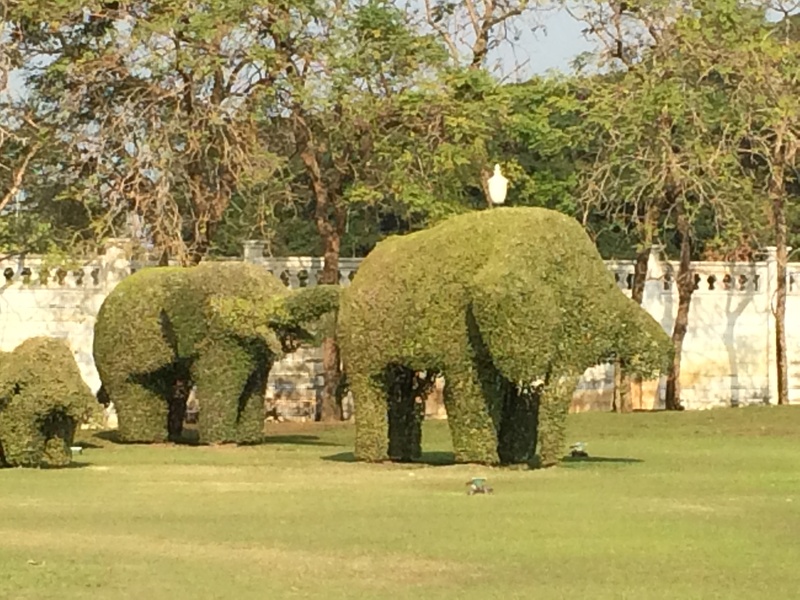 Elephant topiary in the palace grounds. Front exterior of the personal residence – Heavenly Light (Wehart Chamrun). No photos allowed of the interior. Fu dogs draped with marigolds in the Thai style at a small palace alter.